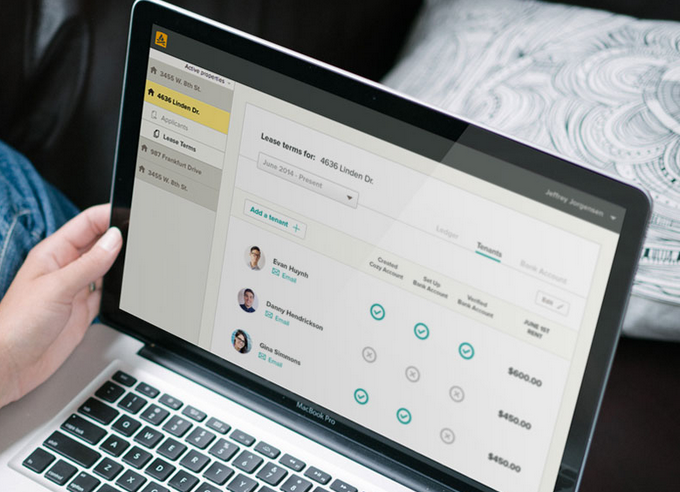 Cozy, a service that makes the rental process easier for landlords and tenants, has made its current feature set available to all clients for free. In a blog post, Cozy CEO Gino Zahnd says that making these features free will bring in a wider audience for products set for launch in Q4 2014. Cozy lets landlords and renters handle payments online without dealing with complex scheduling interfaces. It also smooths the rental application and approval processes with profiles that carry from rental to rental and make credit reports readily available when it’s time to handle the background check. Rental management services aren’t usually my thing, but earlier this month a few experiences piqued my interest in the subject. I spent Labor Day weekend in New York, where one friend (followed by several more) explained to me that she still pays for her rent with a physical check she sends to her landlord. When I got back, a letter in the mail from my apartment complex said I’d have to pay with a check because their decade-old software package died and they were figuring out what to do. Having managed to thus far avoid writing a check in the relatively brief period of my life where that means anything, I was kind of shocked at the prevalence of dependency on this outdated method of payment. Checks don’t make life easier for either side of a transaction nowadays!